Primary Care/Internal Medicine is a medical specialty concerned with the diagnosis, management and nonsurgical treatment of common and complex diseases. 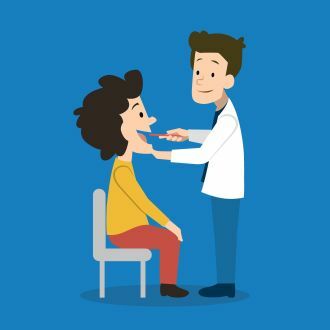 The healthcare system has been relying more and more on the primary care doctor to help the patient understand their issues, to help the patient to diagnose there issues and to coordinate specialized care for the patient. Oftentimes, a person might require specialists to understand fully the complaints that the patient presents with. Our medical system has become so vast, in knowledge and complexity that the need to include other specialty doctors to work along with the primary care General physician is crucially important. This is all done through orchestrating specialized blood tests, x-rays, and specialized evaluations by specialized doctors. Dr. Bain uses internal medicine to help solve puzzling diagnostic problems and handle severe chronic illnesses and situations where several different illnesses may strike at the same time. He takes pride in his willingness to coordinate care and to expedite as quickly as possible the proper sequence of care for the patient. Dr. Bain for over 25 years has been helping patients figure out how they can best be served in an efficient way and sometimes in a cost-effective way. He will analyze the data, speak with your specialist and work with you very closely to help you feel comfortable in understanding what your problem is, how to evaluate the problem and how to go about treating the problem.Dr. Bain has successfully used internal medicine to treat respiratory infections, thyroid disorders, chronic headaches, cardiovascular diseases, fibromyalgia and chronic fatigue syndrome.